Front row, from left, are Bill Stevenson, Riverfront Management Council and Dragon Boat committee member; the Hon. Joseph Gerace, Dragon Boat committee member; Kelly Rhinehart, Greater Chautauqua FCU board president; Brittney Quattrone, Greater Chautauqua FCU and Dragon Boat committee member; Douglas Conroe, Chautauqua Lake Association; Christian Johnson, Lakers Disabled Sled and Special Hockey Team member; Cody Allshouse, Lakers Disabled Sled and Special Hockey Team member. Back row, from left, are Lee Harkness, Jamestown Area Railway Heritage Center and Dragon Boat Committee member; John Siggins, Dragon Boat Committee member; Rodney Kolstee, Lakers Disabled Sled and Special Hockey team president and coach; Heather Nolan, Chautauqua Lake Association and Dragon Boat Committee member; Mickey Sorenson, Chautauqua Lake Rowing Association and Dragon Boat Committee member; and Kelly Haaksma, CEO of Greater Chautauqua FCU and Dragon Boat Committee member. 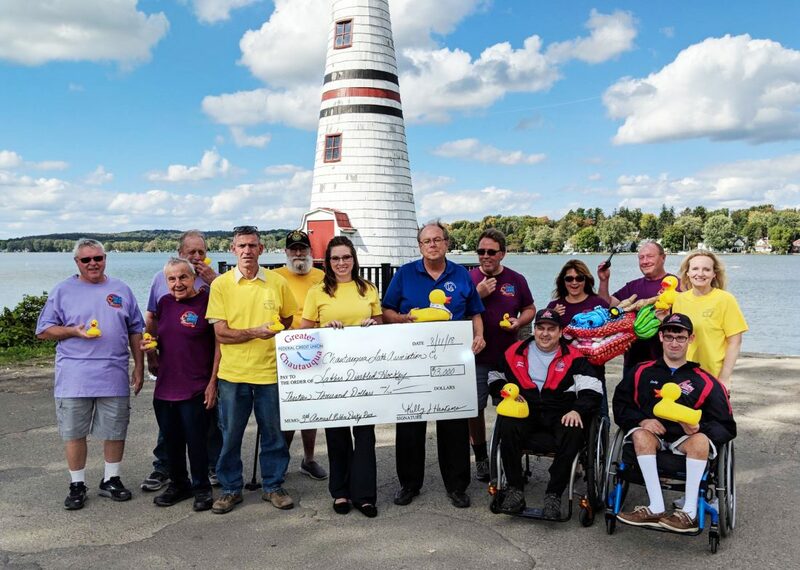 CELORON — The third annual Chautauqua Lake Dragon Boat Festival and Rubber Ducky race pairing raised $13,000 for the Chautauqua Lake Association and the Lakers Disabled Sled and Special Hockey Program. Thirty-one dragon boat teams and hundreds of spectators gathered at the Lucille Ball Memorial Park in Celoron for the 2018 race. Festivities commenced with a pancake breakfast to support Jamestown Area Meals on Wheels followed by the traditional ritual of “Awakening the Dragon”. 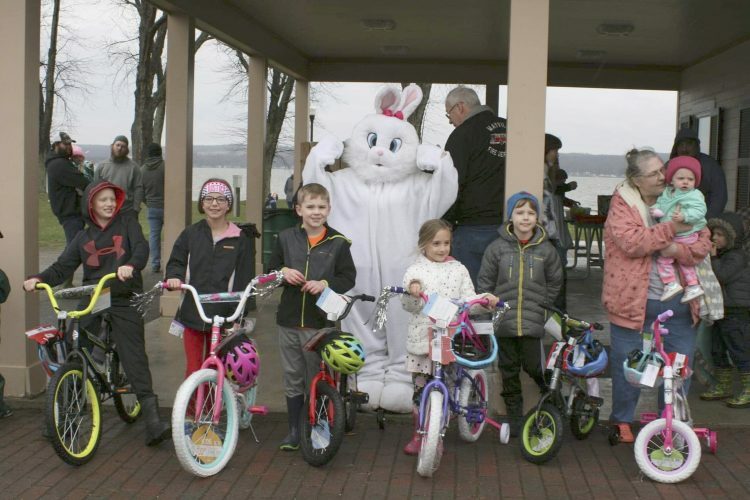 Throughout the day, there was food, games, craft vendors and prizes between each boat race on Chautauqua Lake. To wrap up the day’s activities, 2,871 rubber ducky racers swam out to the finish line for the $500 first place prize. 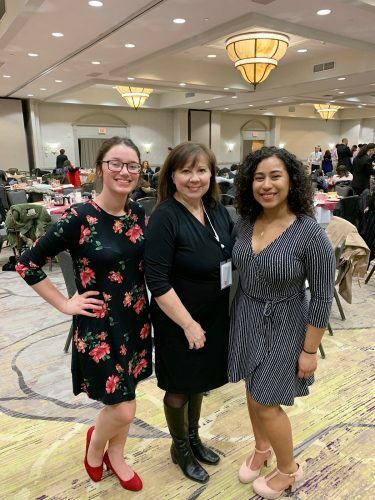 “We are so thankful for the support of our members and community! The Dragon Boat Festival is such an incredibly unique event, and we couldn’t be prouder to be a part of it.” Kelly Haaksma, CEO of Greater Chautauqua Federal Credit Union. The 2019 event is scheduled for Saturday, Aug. 10. For more information, visit www.chqdragonrace.org or find the event’s Facebook page at www.facebook.com/chqdragonrace.